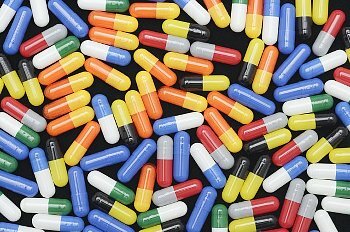 Anti-depressant medications, like Prozac have been associated with increased risk for violent and/or homicidal behavior, according to a study published in the 2010 Public Library of Science Journal (PLOS). Vernicline (Chantix) an anti-smoking medication is 18 times more likely to be linked with violence compared to other drugs. Fluoxetine (Prozac) an antidepressant that is 10.9 times more likely to be linked with violence in cmparison with other medications. Paroxetine (Paxil) an SSRI antidepressant 10.3 times more likely to be linked to violence compared with other drugs. Amphetamines are 9/6 times more likely to be linked to violence. Mefoquine (Lariam) used to treat malaria, has been reported to induce bizarre behavior. Lariam is 9.5 times more likely to be lined with violence than other medications. Atomoxetine (Strattera) used to treat attention-deficit hyperactivity disorder (ADHD), is 9 times more likely to be linked with violence. Triazolam (Halcion) used to treat insomnia is 8.7 times more likely to be linked with violence than other drugs. Fluvoxamine (Luvox) an antidepressant that is 8.4 times more likely to be linked with violence than other medications. Venlafaxine (Effexor) is an antidepressant used to treat anxiety. It is 8 times more likely to cause violent behavior than other medications. Desvenlafaxine (Pristiq) is an antidepressant that is 7.9 times more likely to cause violence than other drugs. Canadian Judge Sentences Teenager In Prozac Homicide Case. This story was published in the November 2011 Huffington Post, about the role of Prozac causing violent behavior. Click the link to read more about Psychiatric Drug Facts, at Dr. Peter Breggin’s website. An article by Dr. Joseph Mercola, about Prozac, antidepressants, and their role in violent behavior. Time Magazine, Top Ten Legal Drugs Linked To Violence. Posted on October 27, 2012, in Health News and tagged Antidepressant, Fluoxetine, Joseph Mercola, M.D., Paxil, Peter Breggin, Prozac. Bookmark the permalink. Leave a comment.